Overview: Ecuador has many forms of tourism, is a country with an unimaginable biodiversity of other countries around the world, Ecuador is a small country but in many tourist advantages, amongthem we highlight the City of Puyo, we talk about very nice sitecalled mere Dam. The waters of the Rio Tigre make up this pool at the Paradise DamMera. 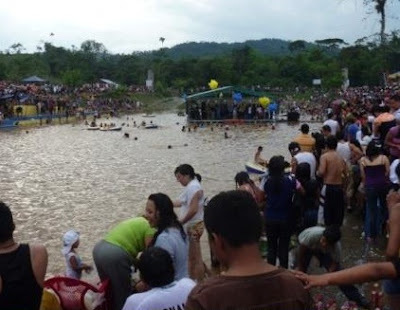 Located about 20 minutes of Puyo, via Bath, this relaxingplace in the canton Mera Pastaza Province has been thought to bea tourist spot accompanied by several additional services that make your travel experience unforgettable. 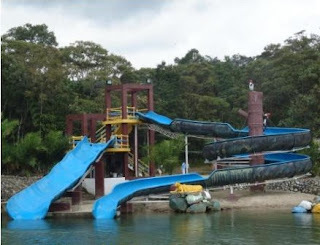 To get there, could ask for Central Park, the same that is located on the side of the road, then head for the popular district of Orchids, 400 meters, once there and can spot a cell tower signal, then, just100 meters will be ready to enter into this beautiful aquatic fun center. A place to delight the senses and above all, made ​​to spend with your loved ones, this beautiful place called Dock simply, it is very cute as its surroundings can see nature itself. To enhance the excitement and fun, can make use of slides, sports, nature trails, a tree house, security, private parking, and also after the day you could complete your natural experience in one of the best inns of the province, Amazonian corner to enjoy the greenery of Pastaza, that's why we suggest you visit Lizanes Inn.